Possibility to spend the night at Cancun airport (CUN), if open 24 hours. Services available, places to rest (free resting zones), or look for the list of nearby hotels and vip lounges.. Being located in such a touristic place, Cancún airport is usually very crowded. That is why it is recommended to have earplugs or headphones to enjoy a better rest. Where to rest: In terminals 2 and 3 you will find padded seats with armrests. In Terminal 2 there are some short benches without armrests. Inside both of the previous terminals there are also a few VIP lounges in case you have a bigger budget. One of them is even open 24 hours a day. 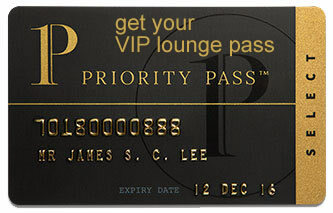 SEE VIP LOUNGES On the other hand, several hotels in the surroundings operate shuttle services to and from the airport. Baggage: You can find lockers in Terminal 2. Wi-Fi: Access only for a fee (USD5.00 for 30 minutes). Several hotels are located in the airport surroundings, some of which provide transfer services for their guests. Comfort Inn Cancun Aeropuerto (Tel +52 998 272 5200), Courtyard Cancun Airport (Tel +52 998 287 2200), Motel Las Cerezas (Tel +52 998 882 2395), Hostal Urbano (Tel +52 998 845 7185), Villa Palmeras (Tel +52 998 206 0162), Royalton Riviera Cancun (Tel +52 998 283 3900), Nizuc Resort & Spa (Tel +52 998 891 5700), The Westin Resort & Spa Cancún (Tel +52 998 848 7400), Club Med Cancún Yucatán (Tel +52 998 881 8200), Club Regina Cancun (Tel +52 998 287 3400).